This is the Oscar Databar reader. 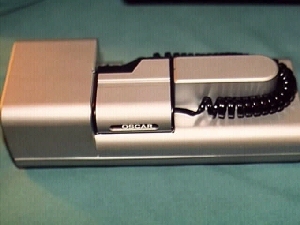 It plugs into the cassette recorder port on the back of the TI-99/4A. 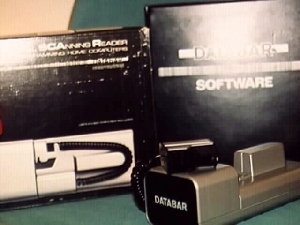 Software was published in bar code format in a booklet, and you would scan it in using the Oscar. At the end of each line, it would feed the data in just like the cassette recorder.